Alpha Psi Omega is a National Theatre Honor Society for 4 year colleges/universities. 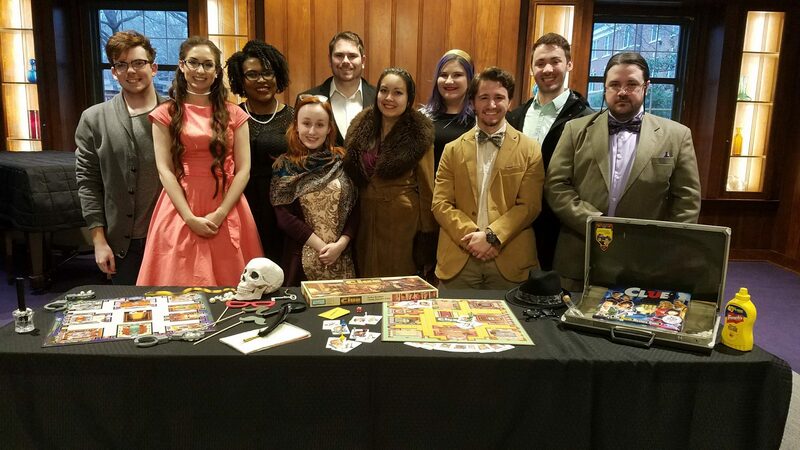 The Zeta Delta Cast of Alpha Psi Omega (ZDC-APO) is hosted by the University of Central Arkansas Theatre Program. ZDC-APO provides a leadership role for all UCA Theatre activities. An effort is made to enhance UCA Theatre by participating in productions and post-strike activities, volunteering for service projects, coordinating guest speakers and theatre-related workshops, organizing trips to for grad school auditions and summer internships, fundraising to attend theatre competitions and conferences, and recruiting future UCA Theatre students. There are several annual events that are sponsored by ZDC-APO! The Welcome Picnic is a fall event where freshmen theatre students have a fun opportunity to meet upperclassmen, faculty, and staff. Curtain Call Ball, a glamorous spring event where UCA Theatre recaps all of the exciting things that have happened over the past academic year and honors students with major achievements. Members of ZDC-APO help organize, coordinate, and assist in workshops for “Staging Your Future,” where over 100 students are invited to UCA Theatre to attend workshops and watch a production. Membership in ZDC-APO is open to theatre students beginning who have accumulated the appropriate number of points as outlined in the ZDC-APO Constitution (Revised 03/2017).